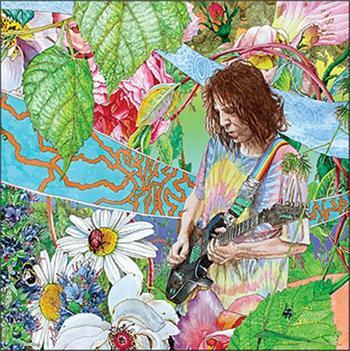 This is the debut solo album from Ed Wynne, the visionary founder member of the hugely successful Psych Prog band The OZRIC TENTACLES! ‘Shimmer Into Nature’ was recorded and inspired by the different locations Ed travelled to over three years - from deep in the Colorado Mountains to the Firth of Forth, via the coastlines of Cornwall and South Devon. Ed comments: "The idea is to transport the listener to a place where the everyday ups and downs of the world dissipate, leaving the mind free to wander through a colourful, omni-directional guitar and synth driven musical landscape for a while, landing eventually, hopefully freshly charged, with a smile and a calmer spirit." The CD comes packaged in a Digi-Pak. ‘Shimmer Into Nature’ is released on 25th January 2019.